Hope you're all good and having a great summer so far! I'm doing pretty well. My summer's alright too so far. I love summer. I can't really say that it's my favourite season, because I love all seasons and every season has its perks and downsides (although there are not many downsides of summer to be honest haha) but I still really love summer. 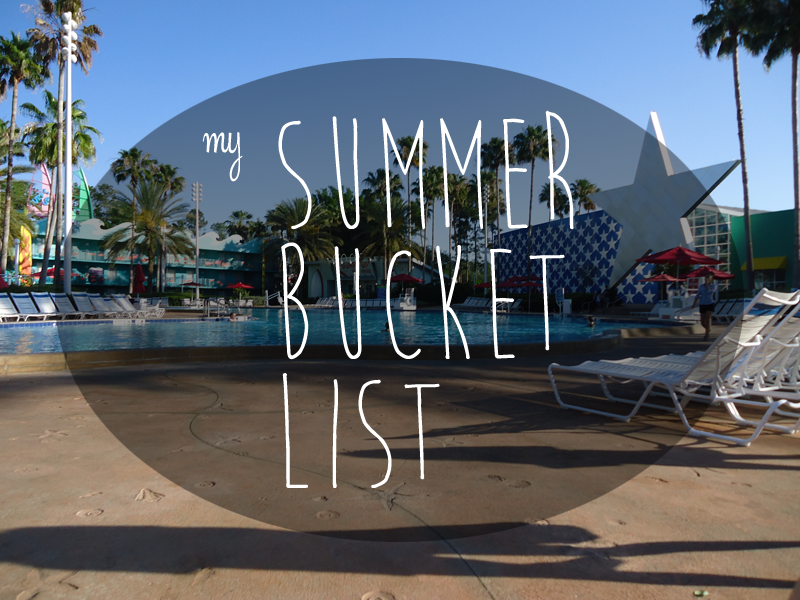 And one of the reasons why I love summer is because there are so many great things you can do! So this year I added a few points and crossed out a few others, so that I will hopefully do better. be happy and have a great summer! Some are more likely to be achieved than others but I'll give my best! Don't let others ruin your summer! You're great, strong and beautiful and you'll have a great time with great people!